Go, cry out this message for Jerusalem to hear! evil would befall them, says the LORD. you made my heritage loathsome. the shepherds rebelled against me. and went after useless idols. and shudder with sheer horror, says the LORD. broken cisterns, that hold no water. R. (10a) With you is the fountain of life, O Lord. your faithfulness, to the clouds. your judgments, like the mighty deep. R. With you is the fountain of life, O Lord. How precious is your mercy, O God! The children of men take refuge in the shadow of your wings. from your delightful stream you give them to drink. and in your light we see light. your just defense of the upright of heart. you have revealed to little ones the mysteries of the Kingdom. "Why do you speak to the crowd in parables?" has been granted to you, but to them it has not been granted. from anyone who has not, even what he has will be taken away. they look but do not see and hear but do not listen or understand. you shall indeed look but never see. and your ears, because they hear. and to hear what you hear but did not hear it." Donate Now - Easy - Click Blue box - Support Catholic News World's in 200 countries! Even a $5 Donation helps - Catholic News World's Mission Reaching over 200 Countries Globally! Donate to Catholic News World Help us Continue! Visit JESUSCARITASEST.ORG's profile on Pinterest. 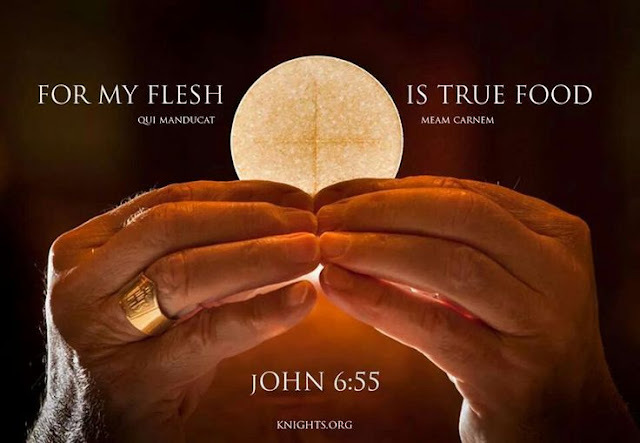 DONATE to Catholic News World Today! We Need your Help!